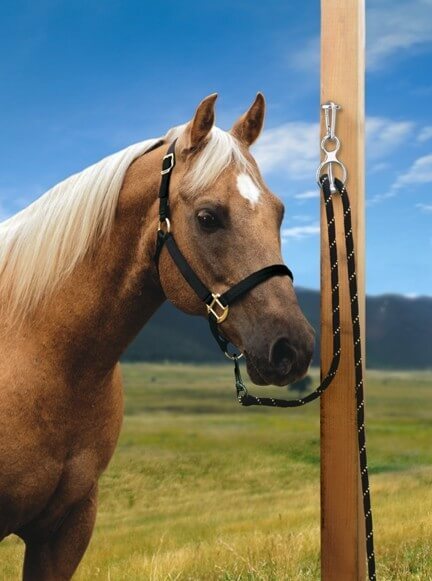 The Blocker Tie-Ring II is a unique way to tie a horse securely yet safely. The Blocker Tie-Ring II is a unique way to tie a horse securely yet safely. 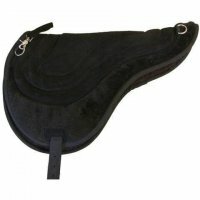 A superb tool for youngsters and for re-training horses who pull back and panic when tied. The Blocker Tie Ring II comes with detailed instructions and is easy to assemble and use. It can be fixed anywhere, stable, yard, fence, lorry etc. Ideal for single use or cross tying. 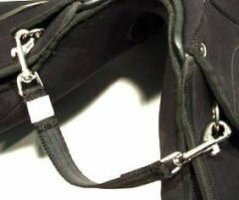 The Carabina fastening gives safe and easy quick release for falls or emergencies. Adjustable resistance levels. The blocker is best used with a extra long lead rope (ideally 3m). Different lead ropes offer varying degrees of hold. For example, a brand new poly lead rope may have less hold than an older one, cotton lead rope that has been hanging in your barn for years. Experiment with different lead ropes around your barn and you’ll see how different ropes work. Often, it will only be necessary to use the Level One tying method, because your lead rope offers enough hold to support your horse. But note, if you can’t pull the lead rope through the Blocker Tie Ring, you are probably using more hold than necessary to support most horses. The suggested length of lead rope between your horse and the Blocker Tie Ring is approximately three feet. 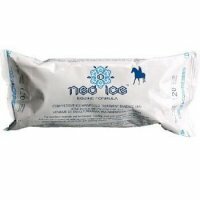 You may need more or less depending on your horse. Using the “Tying Options” the Blocker Tie Ring allows you to regulate the amount of hold by using one or more of the three different tying options. In addition, you can increase the hold by as little as a few poinds or as much as severl hundred pounds, simply by changing the type of lead rope that you use. 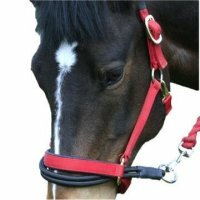 Level 1 Basic Tying Option offeres the least amount of hold for your horse. It is also helpful to go to the basics of your ground work. Work on leading, backing and stopping your horse and asking him to give to pressure. Re-establishing that foundation works directly with re-schooling him to tie. 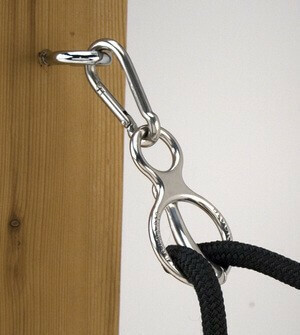 Please visit our Blocker Tie Ring website for images and videos on the use of the Blocker Tie Ring.